With great new family photos to display, I needed a new place to display them. The hallway across from my study is perfect because I can look out through the glass doors and enjoy the photos! I’d always wanted to do a large-scale gallery wall similar to our Instagram gallery wall in the mud hall. Keeping with the theme of “light & bright” throughout the house, I found these frames at Michael’s while they were having a 50% off wall frames sale. It took a trip to all 4 Michael’s stores in Austin to get 9 because each store only had a couple left (except for 1 store that had plenty that had been dropped and damaged). I love the floating matting and cleanness to these frames. They will really let the photos shine! Black and photos would have really set these frames off in a chic way, but I wanted to bring in the beautiful colors of the photos. For this gallery, I mixed photos from this year’s family photos with some photos that I had taken (here are some recent tips to DIY frame-worthy photos) and some from last year’s family photos. I love how this turned out and where it’s placed. It was really the perfect spot! 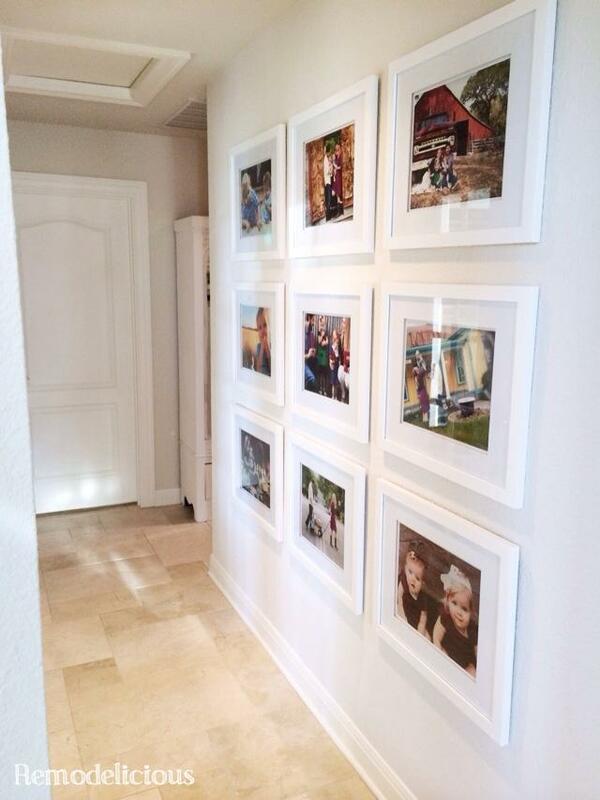 Any hallway has potential to be a great family photo gallery. It’s difficult to find the right mix of frames when you mix & match, so I like to keep it simple and do a grid of matching frames. It should be easy to rotate some new favorite photos into the mix later on and any project that can evolve is a winner for me. 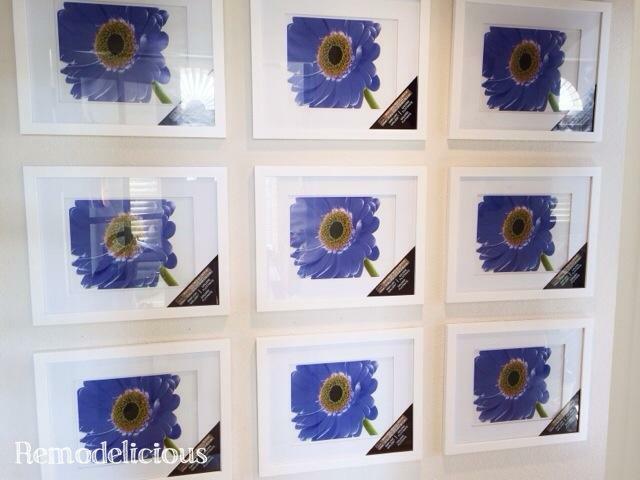 Do you have a family photo gallery wall in your home? We’d love to see it! hi! What size Are these frames? The frames are 18″ x 22″ & the photos are 11″ x 14″. These were purchased from Michales 2 years ago. How can I order some frames?